Youth Forum "Towards an inclusive community" took place in Dilijan (Armenia) from 10 to 13 of June. 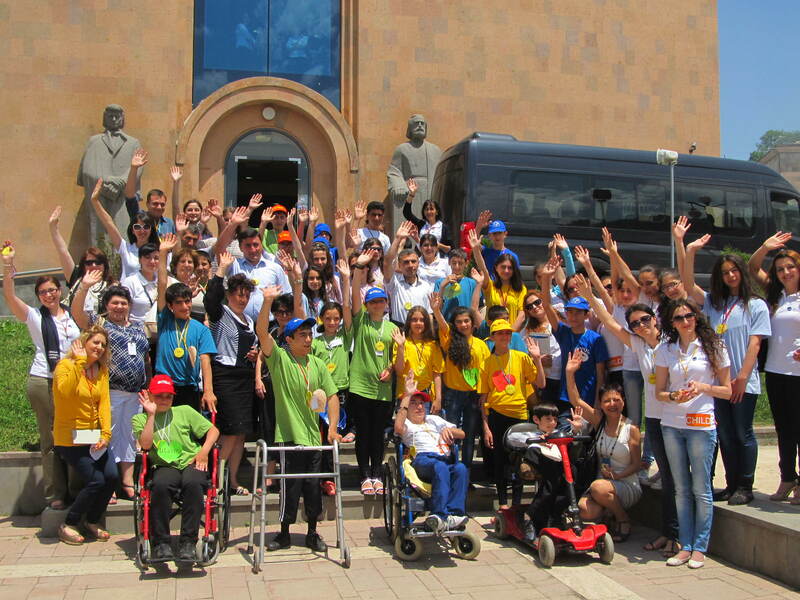 Youth Forum "Towards an inclusive community" took place in Dilijan (Armenia) from 10 to 13 of June. About 40 children and their parents attended the forum. Among the participants were representatives of Armenian NGOs “Bridge of Hope” and “Orran” (CNC (Caucasus Network for Children) members) and Georgian NGOs “Union Beryllus”, “Liberta”. The purpose of the three-day forum was to identify the problems connected with the educational, socio-cultural inclusion, to discuss the right of children to education, to be heard, to live in their families and to propose possible solutions to issues they face when realizing their rights. At the end of the Forum children and all the participants showed an interesting flash mob planned during these three days. The Youth Forum was realized by Armenian NGOs “Bridge of Hope” and “Orran” in the frame of project “CHILD: Community Helping Inclusive Development and Learning”, funded by Austrian Development Agency and OSIAF ESP in partnership with Austrian NGO Interkulturelles Zentrum (IZ).